This is probably my last post about Japan. I wanted to finish this chapter all at once. Here and on Instagram. Today is going to be more about me than the trip itself. For that, I am more or less sorry. I mean I had to have a reason for going to Japan right? As a photographer, I wanted to photograph Mount Fuji. It is an iconic landscape that not trying would be a waste of time. 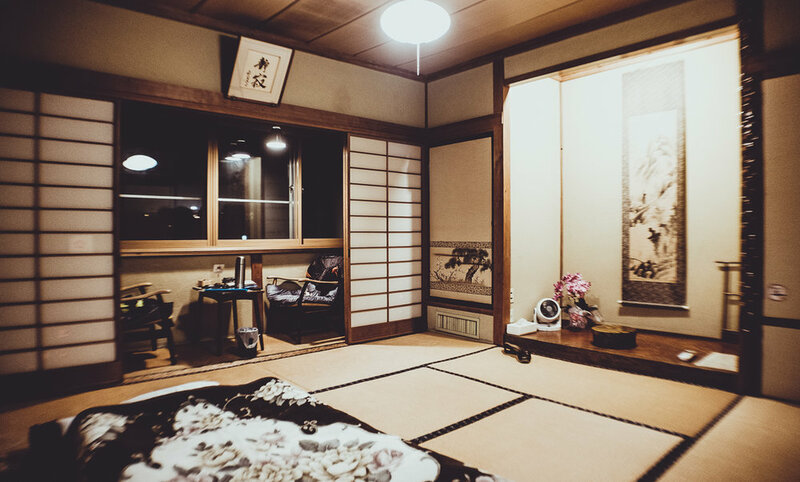 I also wanted to be in a place where I would feel how Japanese people used to live, and still do. For me, these small details made all the difference. Although i only spent two days in Kawaguchi, these were the best two days of the trip. Staying in a traditional Minka, showering like a Japanese, going for a hot bath after, having a traditional Japanese breakfast made by the mother of the host and finally having Mount Fuji as the view from my room balcony put a smile on my face no matter how tired I was. Words can not describe the amazing experience I had at Aoiso Airbnb and how polite Shogo San and his mother were. The only thing I regret was not making a photo of both of them. Since I will return to Japan I will do it for sure next time. Now photographing Mount Fuji was in some ways a little challenging and I got lucky. I was checking the forecast every day since the first day and for a few days, I was worried that Mount Fuji would be completely covered in clouds. All the worries went away when I woke up at 4:40AM and took the bike to cross the lake and settle for my first photo. Granted, it was still a little cloudy but I could not believe I was in Japan photographing Mount Fuji. A photo I’ve seen a million times and now I was doing it as well. During these moments my mind wonders quite a bit about what I am doing, how I am living my life but I always arrive at the same conclusion. It is all worth it for those three to four hours that I am waiting in the cold, spending money that I probably should be spending on other things, not prioritizing common things that most of the people I know do. These are the moments that I most reflect on my life and I am happy to be how I am and to do what I do. In the end, I think that having this feeling of accomplishment and gratitude is what is all about. And that is why I will keep doing my best to travel to new places, meet and interact with amazing people and come back home with a smile thinking I was able to do something I thought and wanted to do. Don’t misunderstand me and do not think that i didn’t love all the other places and all the other photos i took in Japan. Every place i went i felt happy to be there. But being in Lake Kawaguchi was something much more personal. To finish and as always, here are all the final photos from Japan.